As well as a general introduction to the Hocken and a guide to Maori resources, we have two main series of guides: genealogy guides and research guides. The genealogy guides include information on our resources for researching Maori whakapapa; births, deaths and marriages; shipping; education; occupations; and residences. 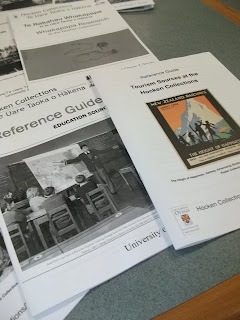 We also have a guide to internet resources, and a guide to the records of Otago and Southland orphanages and children’s homes (some of these sources are held by other institutions). The series of research guides currently stands at 17 with several new ones appearing each year. These guides are primarily aimed at university students and researchers, but they include information which will also be of interest to many other people. They do not list all our resources, but give examples of items in our collections along with suggestions on how to locate other relevant material. Popular guides in this series include those to war-related material (there are separate guides for World War I, World War II, the South African War and two guides on the New Zealand Wars), missionary sources, religion sources and mining sources. Recent additions to the series are on Pacific Islands sources and tourism sources, and a health sciences reference guide will be out next month. We hope you find these guides useful, and welcome your feedback! 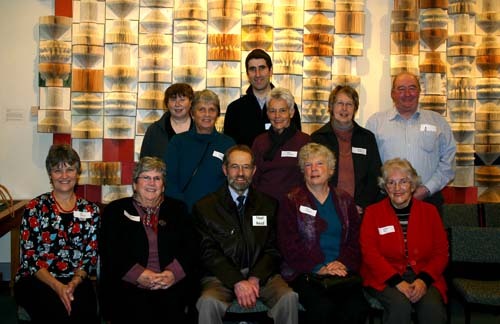 Local members of the Otago branch of the New Zealand Society of Genealogists have recently celebrated the completion of nine years of data entry adding the Otago Police Gazettes to the Otago Nominal Index. The latter was started 21 years ago with the indexing of early local street directories and electoral rolls, all of which is still continuing. The index now contains approximately 400,000 names, and the group is now embarking on indexing the Mackays Otago Almanac. This is an amazing source for genealogical and historical research. Take a look at it at http://marvin.otago.ac.nz/oni/ where it is hosted by the University of Otago Library.